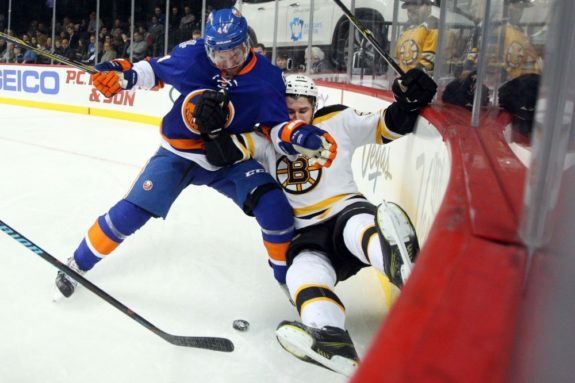 The frustrating offseason continued for the New York Islanders late on Tuesday evening when news broke that the Carolina Hurricanes had signed defenceman and former Islander Calvin de Haan to a four-year contract, according to Luke DeCock. Hurricanes have agreed to terms with free-agent defenseman Calvin de Haan, per source. Four years, $18.2 million. Left-shot D completes top two pairings. The deal is reportedly worth $18.2 million over the course of the four years and carries a cap hit and annual average value (AAV) of $4.55 million per season. Not only does it lock up the 27-year-old for the Hurricanes through the 2021-22 season, but it also solidifies the future for the young blueliner who is coming off a one-year deal with the Islanders in which he made $3.3 million. With the Islanders last season, de Haan collected just one goal and 12 points in 33 games – missing the final 49 due to injury. However, it’s worth noting that while he was healthy he did earn himself a plus-11 rating, but was sub-50 in Corsi-For Percentage at 49.1%. 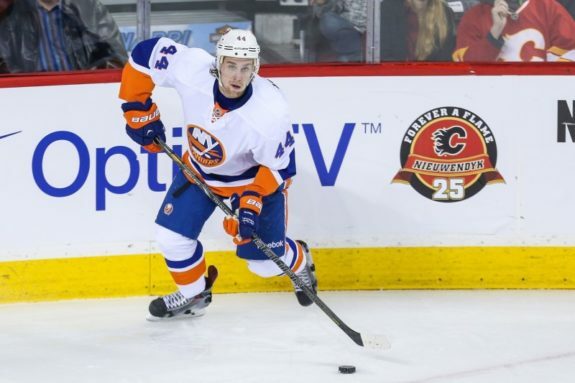 Prior to last season, de Haan did show how valuable he can be when healthy playing in all 82 games for the Islanders – the team that drafted him 12th overall back in 2009. Having played in every contest, it gave him the opportunity to have a career-year offensively with five goals, 20 assists and 25 points. In parts of six seasons with New York, de Haan has collected 12 goals and 81 points in 304 regular season games. He also brings some playoff experience to Carolina with three assists in 16 postseason games with the Islanders. The signing of de Haan gives the Hurricanes yet another major defensive pick up this offseason following their acquisition of Dougie Hamilton in a five-player deal with the Calgary Flames. It also solidifies the team’s left side on the blue line and gives them a good young core on the back end. While the acquisition of de Haan gives the Hurricanes six defensemen signed to contracts for the upcoming season – five of whom are due $4.025 million or more – it does open up the possibility that the team could look to move Justin Faulk and his $4.83-million contract. The contract also makes him the third blueliner the Hurricanes have locked up through the 2021-22 season – including Jaccob Slavin and Brett Pesce. While the Islanders have been able to add veterans like Valtteri Filppula, Leo Komarov and Matt Martin over the last few days, the losses of John Tavares and de Haan will certainly be felt in New York this season.